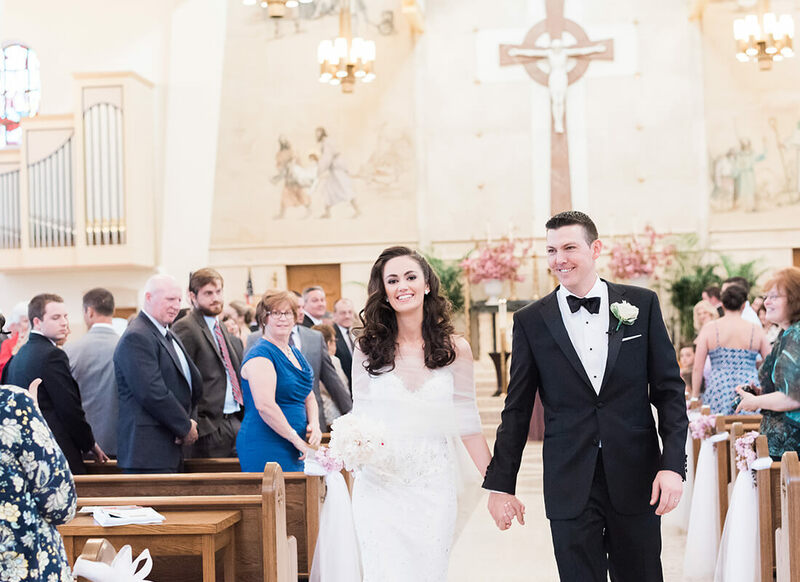 Shannon looked both sultry and romantic as she strolled down the aisle to marry her soul mate, Matthew Burke, on May 14, 2016 in the Church of St. Patrick in Huntington, New York. 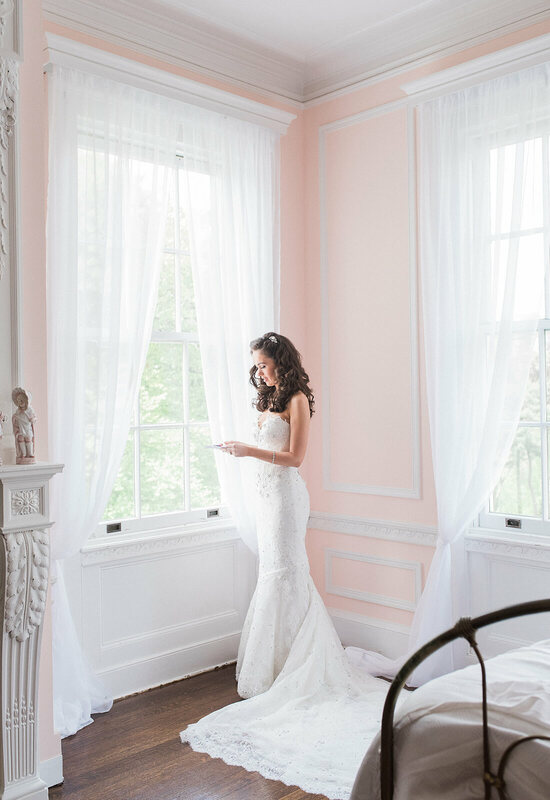 Wearing a fitted mermaid gown with a tulle wrap, Shannon was a sophisticated vision on her special day. Wanting the full bridal gown shopping experience, Shannon and her mother headed off to the Pnina Tornai Boutique at Kleinfeld Bridal to try on gowns. 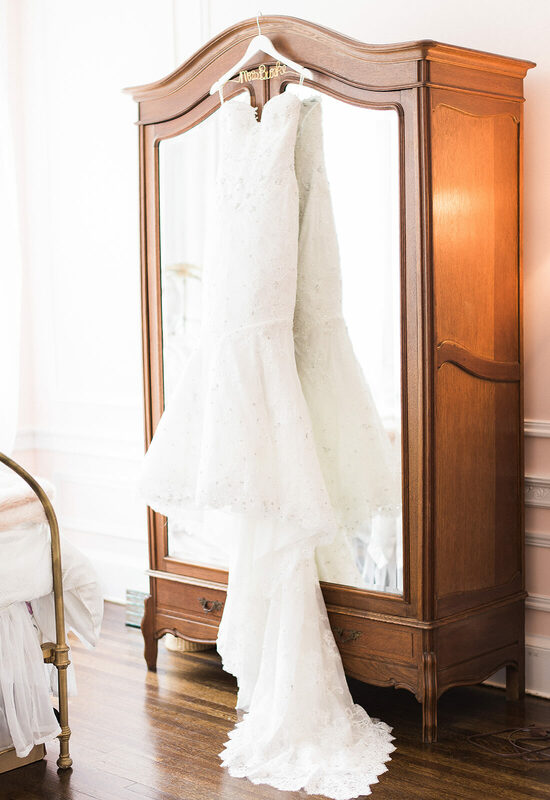 With the idea of wearing a fitted gown, Shannon was looking for a dress that was both fitted and classy since her wedding ceremony would be held in a church. 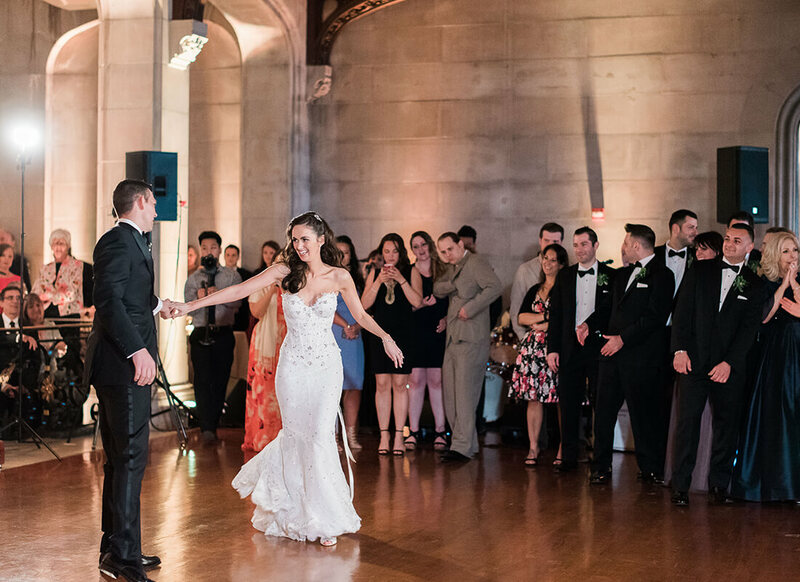 After trying on a few gowns, Shannon and her mother had it narrowed down to a fitted Pnina Tornai mermaid gown and a gown that Shannon had seen at another bridal salon. Not able to choose on the first trip, Shannon came back to the Pnina Tornai Boutique a second time and tried on both gowns for her parents. 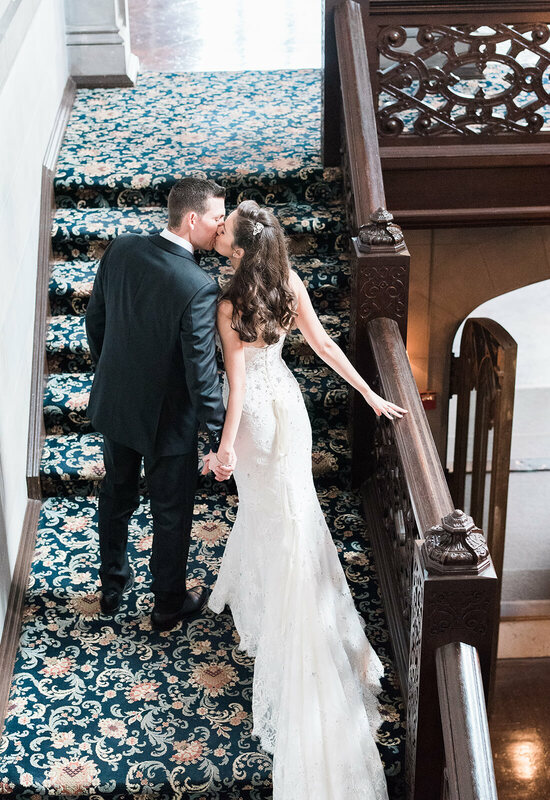 Putting on the Pnina Tornai mermaid gown a second time Shannon says that she had an “AHA” moment! “It was just such a wow dress! Even my parents said other gowns couldn't compare to this one,” recalls Shannon. Shannon said yes to a fitted sweetheart neckline mermaid gown with crystal embellishments and floral appliques. Initially having a signature Pnina Tornai illusion corset the gown needed a few custom touches to make it ready for Shannon's church ceremony. 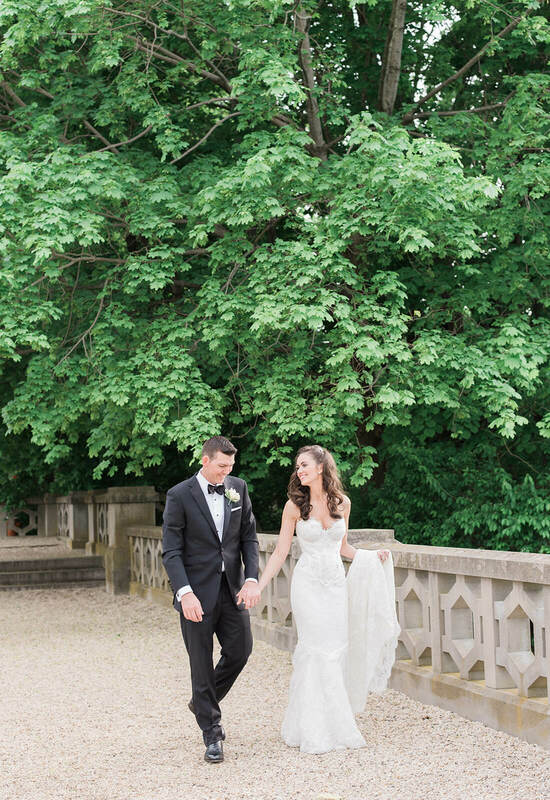 With the help of her bridal consultant, Shannon decided to have the whole gown lined so that she could have the fitted silhouette she wanted while still being venue-appropriate. While attending fittings for the gown, Shannon had a custom tulle wrap made to wear during the ceremony. It was the perfect finishing touch for her bridal look since you could still see the fabulous neckline of the gown through the wrap. The wrap then came off so Shannon could party the night away at her Hempstead House reception. 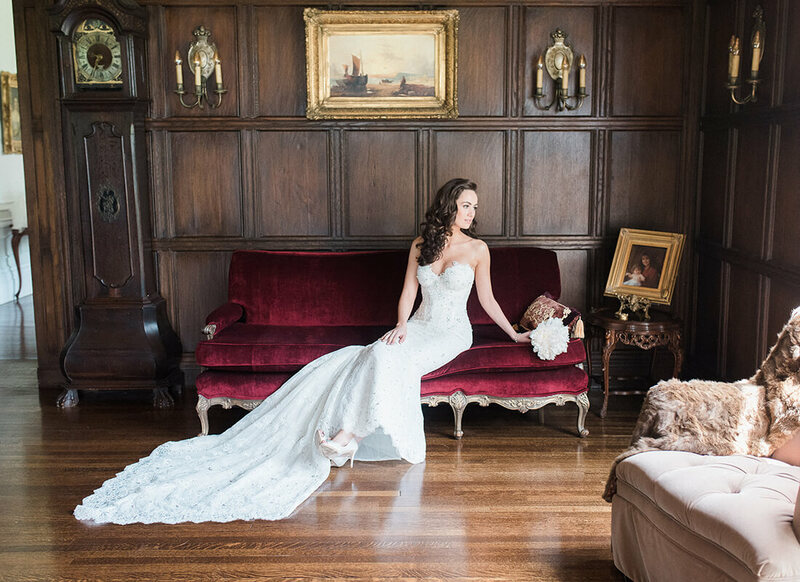 Getting the best of both worlds in the gown, Shannon felt glamorous as guests were in awe of her wedding dress. No one except her parents had seen the stunning gown before the big day, which served as a fun surprise for Shannon to reveal to her guests. 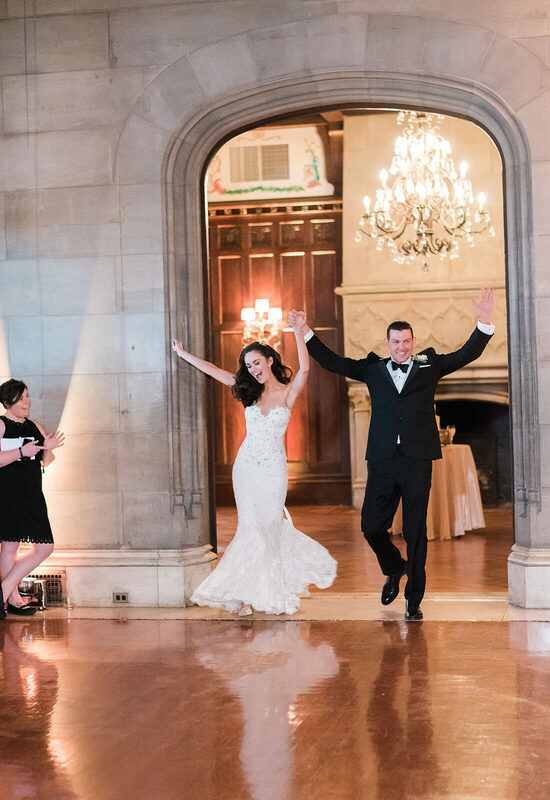 Perfect for her church ceremony and her glamorous reception, Shannon's flirty and sophisticated gown was enchanting and versatile, giving Shannon the perfect bridal look throughout her special day.